Are you looking for ways to save on your grocery bill? If you are like me, the answer to this question is ALWAYS yes. Feeding a family can be so costly and walking the line between healthy and cost-effective foods can be difficult. I am always looking for ways to save. Every little bit helps! 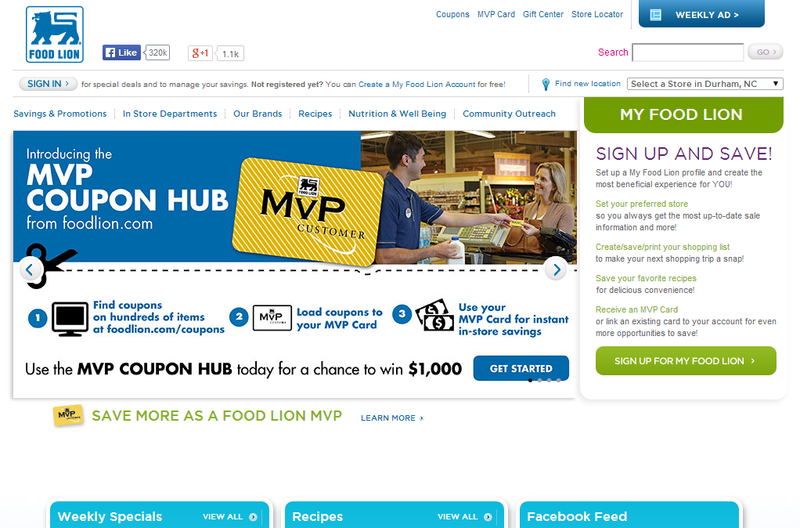 Food Lion has just launched their new MVP Coupon Hub and I am pretty excited about it! I confess that I am not that great with coupons. I don’t often find them for the items I want or I forget to use them when I am out. I know I could be better about this, but in the meantime I am really glad for the MVP coupon hub, which I can use to load the coupons right onto my MVP card! Since I keep my card on my keychain, I never have to worry about losing or forgetting my coupons. WIN! When I am making my shopping list, I head over to FoodLion.com/coupons to check out the available coupons. When I see one I want, I simply click the coupon and then load to card. I add that item to my list and when I am ready to check out, I just hand over my MVP card like I always do! On the reciept, you can see the difference between the regular MVP deals and the clipped coupons from the MVP Coupon Hub. Probably the most time consuming aspect is setting up an account on the Food Lion website. But the good news is, you only have to do that once! I found the MVP Coupon Hub to be very simple and easy to use. The website is fast and intuitive. I hope that they will add more coupons over time as the hub grows. It’s a great way to marry coupon shopping with the already popular MVP card experience. With my house right in the middle of three different Food Lion locations, I know I will get a lot of use out of this service! Save to WIN with Food Lion! Food Lion is hosting a Save to Win sweepstakes for four weeks from Wednesday, Feb. 5, 2014 until Tuesday, March 4, 2014. 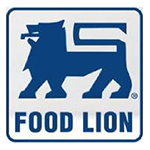 During this time period, Food Lion will select 8 winners each week for a $25 Food Lion gift card (to be loaded onto their MVP card) for visiting and experiencing the “MVP Coupon Hub” and clicking a coupon to their MVP card. Also during this time period, a grand prize winner will be selected to receive $1,000 loaded onto their MVP card to use for their grocery purchases! 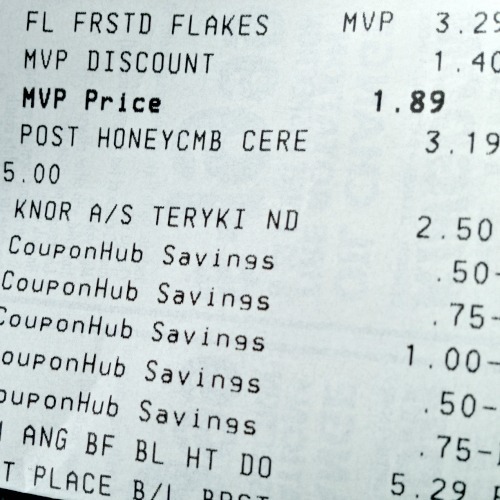 Have you used the Food Lion MVP Coupon Hub yet? This post is part of a sponsorship with Food Lion. All opinions are my own.